Irish farmers will "absolutely" use Northern Ireland as a back door into Britain if no-deal Brexit plans are implemented, the Irish Farmers' Association president has said. 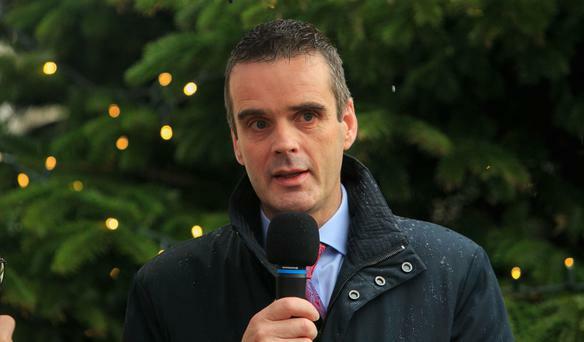 Joe Healy dismissed the UK no-deal contingency plans as "crazy" and said farmers would take advantage of the Border loophole. Speaking to Independent.ie's 'Floating Voter' podcast, Mr Healy said: "I was wondering if I was misreading it the first time I read it, because I said 'this is crazy stuff'. If it wasn't Brexit, you would say it was a joke, but because it is Brexit, you think 'this could be serious'." Prime Minister Theresa May suggested she would not introduce tariffs on trade going from the Republic into Northern Ireland in the event of a disorderly Brexit. However, she said she would charge tariffs on goods coming into ports and airports on mainland Britain. "Something from Wexford, if it went out through Rosslare it would pay a tariff, (but) if it drove up through Northern Ireland, it could find its way on to mainland UK without paying a tariff," Mr Healy said. He said it would not be long until the "penny dropped" for farmers, who would begin using Northern Ireland to access Britain. Mr Healy also weighed into the debate over the photograph he appeared in alongside EU chief Brexit negotiator Michel Barnier, Taoiseach Leo Varadkar, Tánaiste Simon Coveney and president of the French farmers' union Christiane Lambert before the Ireland v France Six Nations rugby match in Dublin. Fianna Fáil Brexit spokesperson Lisa Chambers criticised the "strident walk" of those pictured and said the photograph was "choreographed". Mr Healy insisted he was there to speak to Mr Barnier about the threat facing farmers. "We can meet the Taoiseach or the Tánaiste at any time - on that walk I was more interested in talking to Michel Barnier," he said.